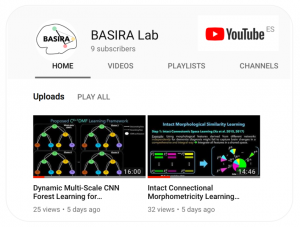 Subscribe to our BASIRA Lab YouTube channel & watch our videos! To follow our recent published research works, you can subscribe to our YouTube Channel. This channel aims to present peer-reviewed research ideas in a simple and clear way to facilitate knowledge transfer and sharing. Congratulations to Can Gafuroğlu for winning the Young Software Engineer of Scotland! Celebrating the first BASIRA anniversary! 6 papers accepted at MICCAI workshops (MLMI, PRIME, CNI) 2018! 3 papers accepted at MICCAI 2018!